Famelab, the international science communicatie competition, will once again have a regional heat in Groningen. If you love talking about science and are between 21 and 40 years, then sign up! The Groningen heat will take place on the evening of Thursday 8 March in the GroningerForum at the Hereplein. There will be a rehearsal/pre-selection round on the evening of the 7th march. For more information on Famelab please visit the British Council website. There, you will also find the application form. You can download a full size version of the flyer from our website (2016 version at the moment). Also, read our report on the 2016 Groningen regional heat. This is what Laurens Polgar, participant in the Dutch final of 2014, says about the competition: " The Famelab competition gives you a great opportunity to present your (scientific) ideas in a way that is understandable for a general audience. This means that you'll be able to convey your story (and your interests) to non-scientists like your family and friends as well. Malcom Love is a great trainer and helps you in building your story and bringing it across. 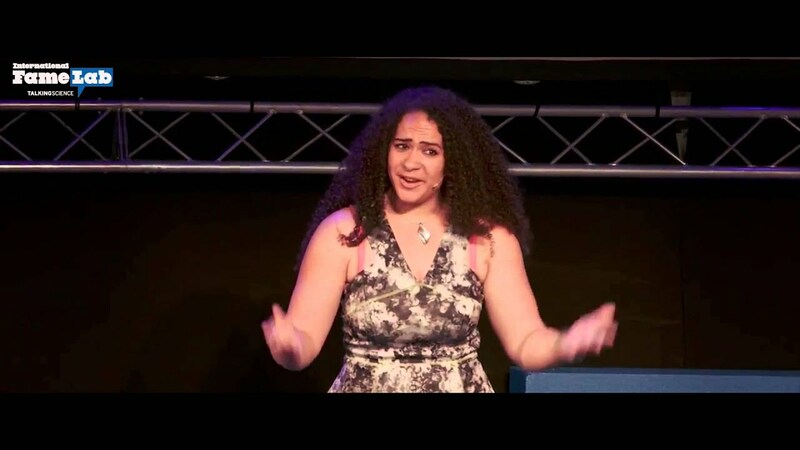 This is useful for the Famelab pitch, but possibly even more useful for any future talks and presentations." For more information on the Dutch finale of Famelab, please check the Dutch Famelab website. For more information on the Groningen regional heat, please contact Ilse Klarenbeek or Leonie von Ristok. Last modified: 03 November 2017 2.30 p.m.